Getting ready to head home | Walk with us! Fr. Johnny’s students thank him and wish him well as he gets ready to leave the Philippines. As noted previously, Fr. 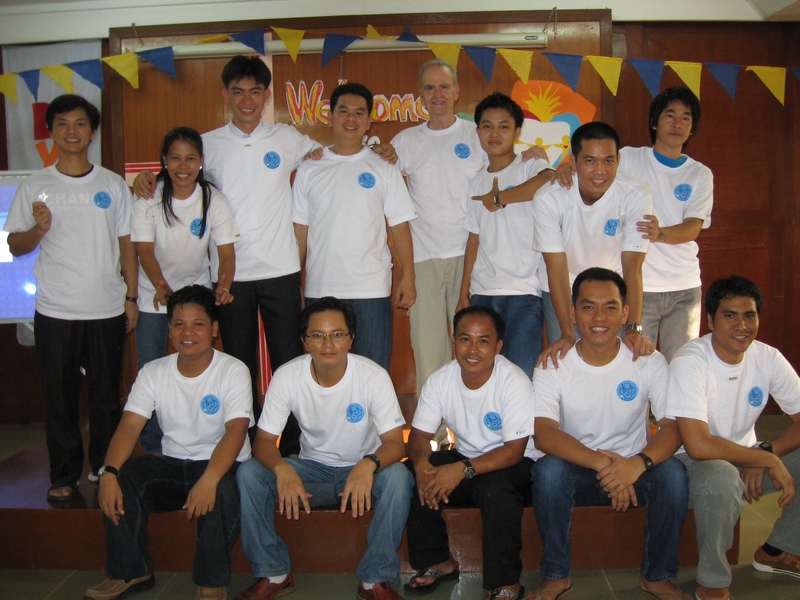 Johnny Klingler, SCJ, spent much of April and May teaching English in the Philippines. He is now in Manila, preparing for his departure. Before returning to the States, he will make a stop in Korea to visit a friend: a Maryknoll missionary whom he met during his days in the Army. This is his last blog post from the Philippines. I have almost been in the Philippines for two months. The time passed quickly as my days were full. It was a very good experience. I saw the progress that the students made which made all of us happy. I will never forget these fine young men. They were special in so many ways. They were eager to learn and after six weeks we could all see their improvement. Most importantly, they were kind and gentle and made my task so much easier. It was a joy to be with them. The afternoon of our last day a simple graduation took place. They received their certificates from me and from co-teacher, Mrs. Josephine Visande. They honored us with gifts and a presentation. At times I used popular songs in my teaching. One of them was ” I Can’t Smile Without You.” They sang it karaoke style, and they did it so well. It was very touching. Our graduation ended with the largest pizza pie I ever saw with ice-cream on the side. That surely was a unique combination for me. Last night the professed community took me out for, yes, pizza. It was delicious. They thanked me for coming from so far away and for so many weeks to teach their student candidates. They and the staff were so good to me. I am grateful for all the kindness and care they gave me. I left Cagayan de Oro City this morning, May 28th. I am at our community house on the outskirts of Manila. The theology students are now returning from summer ministry and vacation. There are 20 students in residence for the coming school year. The day is hot and the house is humid. The wet season is just starting. I will do some sightseeing the next two days and Thursday, I will prepare for my visit to Busan, Korea, on June 1st. I will visit a friend, Fr. Hank Beninati, a Maryknoll Missionary, whom I got to know while serving in the Army in Korea. We have corresponded for the past 54 years. I saw him once, 28 years ago in Boston, when he was on a home visit and I was on sabbatical. I will be with him four days and then leave for Milwaukee on June 6th. It will be a long journey, I will be in the air 18 hours. Thanks so much John for these personal and informative blogs. thank you so much fr.Johny for imparting your knowledge to us,and thank you for the good memories you share to us….